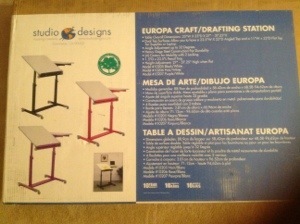 I just finished putting together my new fully adjustable drafting table. I saw it last weekend at Aaron Bros., started searching on the web, and was able to save $23 on it. 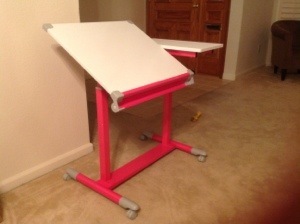 I am not totally crazy about the hot pink, but that was cheaper than all the other colors. I am sure it will grow on me. As soon as I clean out my studio so I can get this puppy in there, I will be ready to roll!